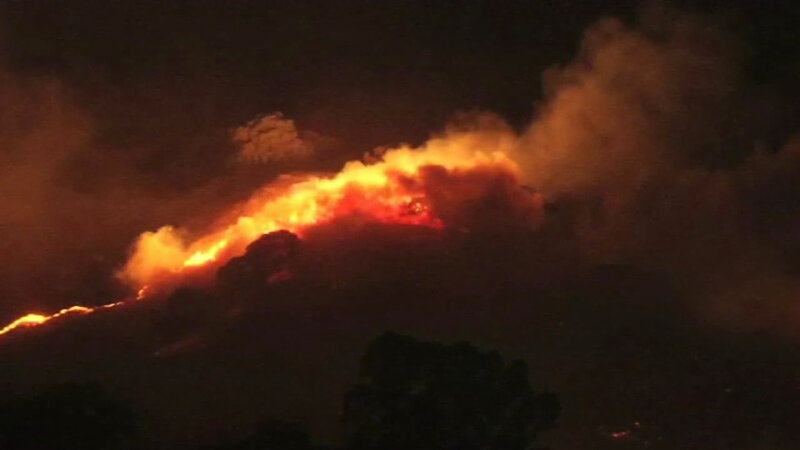 VACAVILLE, Calif. -- A fire that burned over 325 acres in Vacaville was 100 percent contained late Sunday morning, city of Vacaville spokesman Mark Mazzaferro said on Monday. Voluntary evacuations of homes near the fire at Pena Adobe and Lagoon Valley parks were lifted around 6:15 a.m. Sunday, Mazzaferro said. No structures were damaged and no injuries were reported. Update: evacuations for the Gable area have been lifted. Residents can return but please stay clear of the burn area. Approximately 125 people went to the Three Oaks Community Center that served as an emergency shelter, but most residents stayed in their vehicles or found other accommodations, Mazzaferro said. The Salvation Army provided food and beverages to the 135 firefighters from the region that responded to the blaze reported around 9:30 p.m. Saturday, Mazzaferro said. Lagoon Valley Park is closed to the public today and the Vacaville Community Emergency Response team is assisting at the park's entrances and providing access control and help where needed, Mazzaferro said. Camp Adobe, a city summer day camp near Pena Adobe, will be open as scheduled. The cause of the fire has not been determined, but witnesses told fire officials they saw someone using fireworks in the park shortly before the fire started, Mazzaferro said.